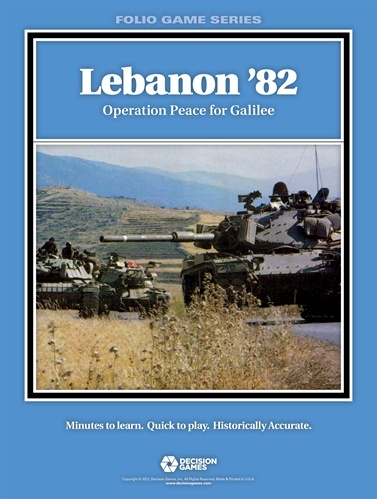 Lebanon ‘82 is a simulation of the Israeli invasion of Lebanon in ‘82, an attempt to clear out PLO terrorists and expel elements of the Syrian army from the country. Hoping to establish the pro-Israeli Christians as the legitimate government in Lebanon, the Israelis sent in the IDF, which soon became embroiled in vicious urban battles. 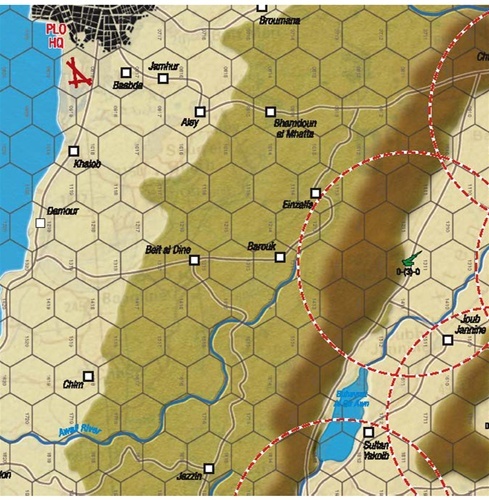 The game also includes a 1975 scenario, as well as a 2006 scenario, showing the evolution of Israel’s ongoing struggle against the PLO. 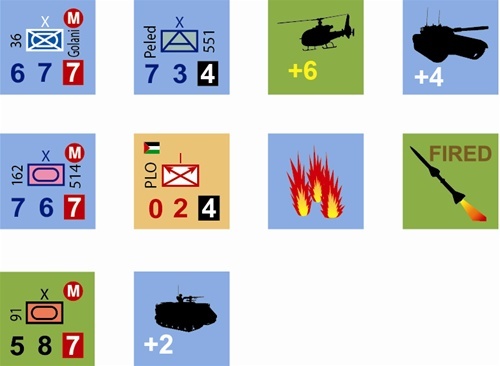 Lebanon ‘82 utilizes the Fire & Movement combat system that is designed so that players can augment their units with “Support Fire” during the course of the battle. From artillery to air strikes, units can receive support assets to engage enemy positions and formations, allowing combat to develop at all levels. 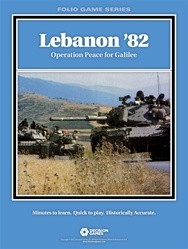 Lebanon ‘82 also includes rules for a possible Syrian entry, and features the Syrian Surface to Air Missiles! Israeli air support could come under fire from Syrian fixed SAM batteries; more support fire will be necessary, but assets are limited. In Lebanon ‘82, the attritional design of the Combat Results Table simulates the true nature of modern warfare; Units are typically two-sided formations that can incur casualties during a game, accurately replicating the realities of combat, especially during the street fighting encountered in 1982. Winning the battle is thus a matter of maneuver, firepower and asset management — not merely odds ratios requiring numerical superiority. A stunning map of Lebanon depicts the entire battle area, ranging from the Israeli border to the capital Beirut itself — including all of the famous battle sites, such as the PLO refugee camps.